Cody and I are both obsessed with Mexican cuisine, and we both loooove chicken tacos. 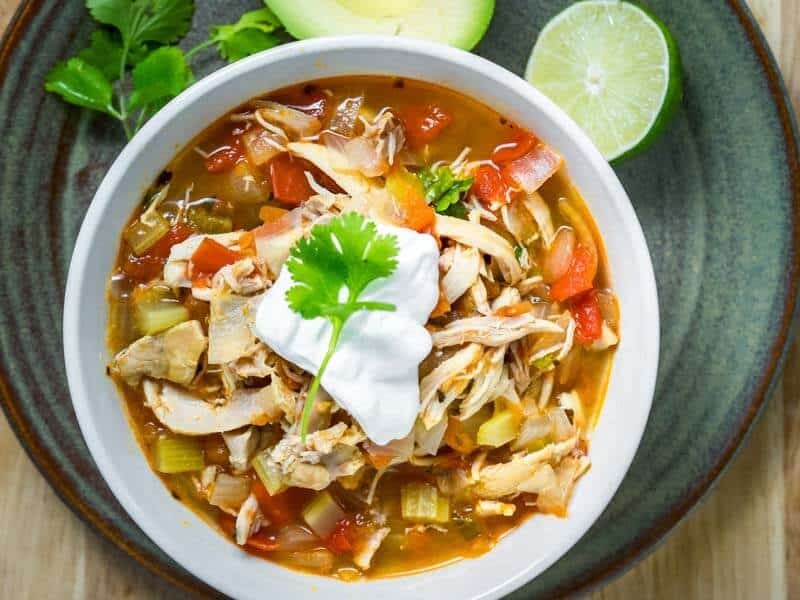 There’s no better way to make your favorite comfort food healthy than turning it into a soup! 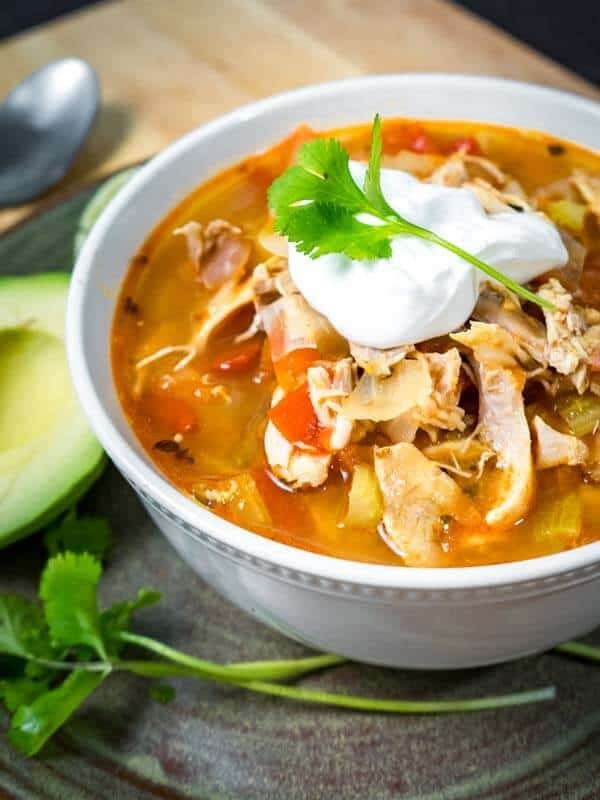 You’re gonna go nuts when you taste our amazing Chicken Taco Soup! 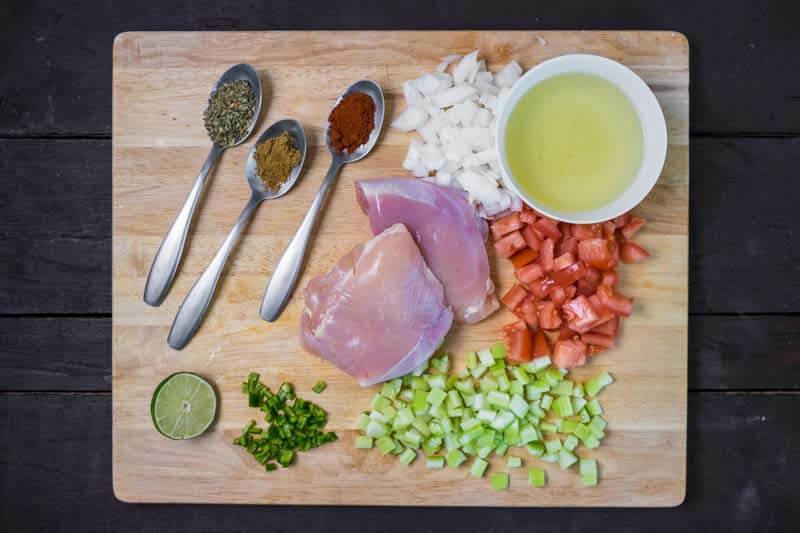 A simple combination of ingredients = A powerhouse of flavor! 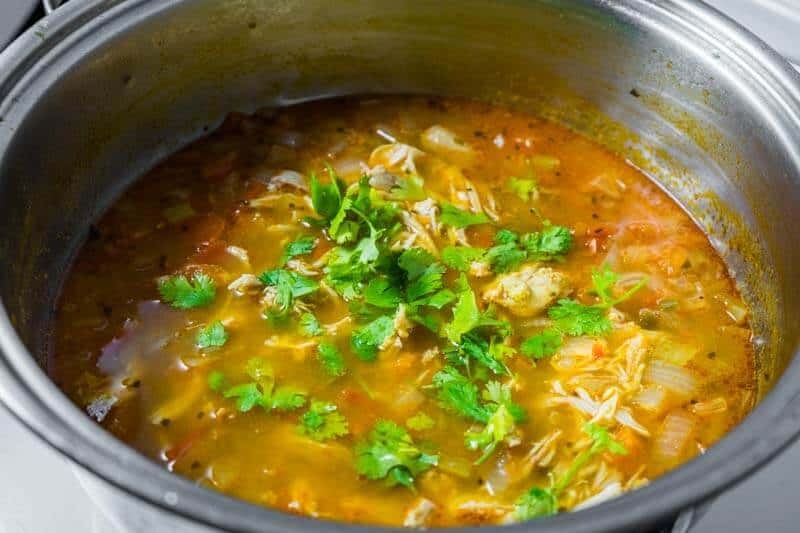 The thing I love most about soup is the fact that it takes a few minutes to chop up a bunch of ingredients, toss them into a pot, and forget about it for an hour. Dinner doesn’t get simpler, healthier, or yummier! After an hour of simmering, you shred up the chicken with two forks. 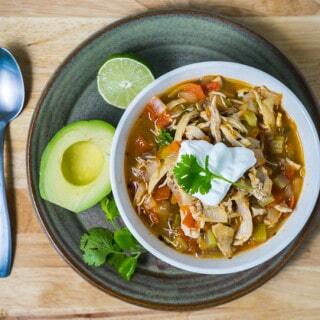 Toss it back in the soup with a handful of cilantro and you’re ready to dish up and eat! 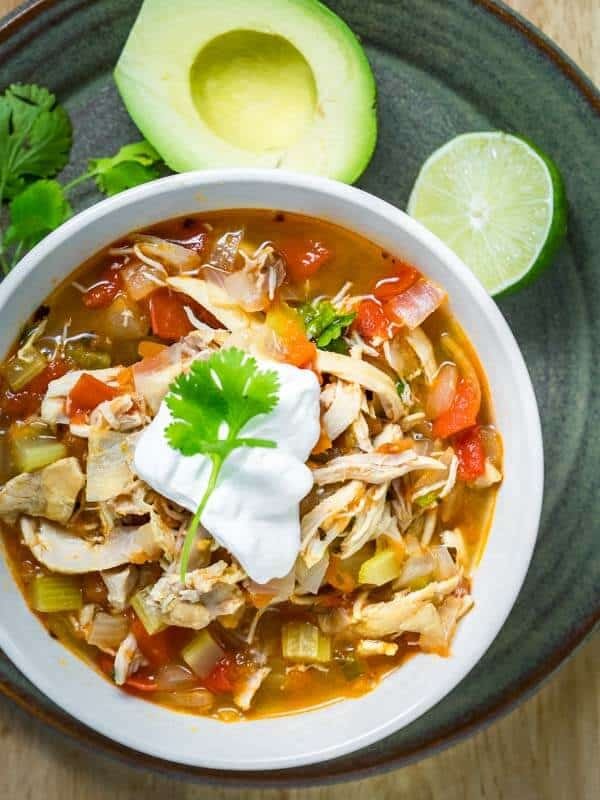 We put on some soft music and served our soup with a generous dollop of sour cream and a gorgeous fresh avocado on the side. It took me right back to September 2014. Cody and I spent a weekend in Miami and had dinner one night at a little Mexican place on Española Way. I love how food has the power to completely transport you. Don't let the long ingredient list scare you off! It's really simple. Start by sautéing the onion and celery in the fat until soft, about 5 minutes. Chuck everything else in the pot [except cilantro] and simmer for an hour. Soup, eh? Gotta love it! 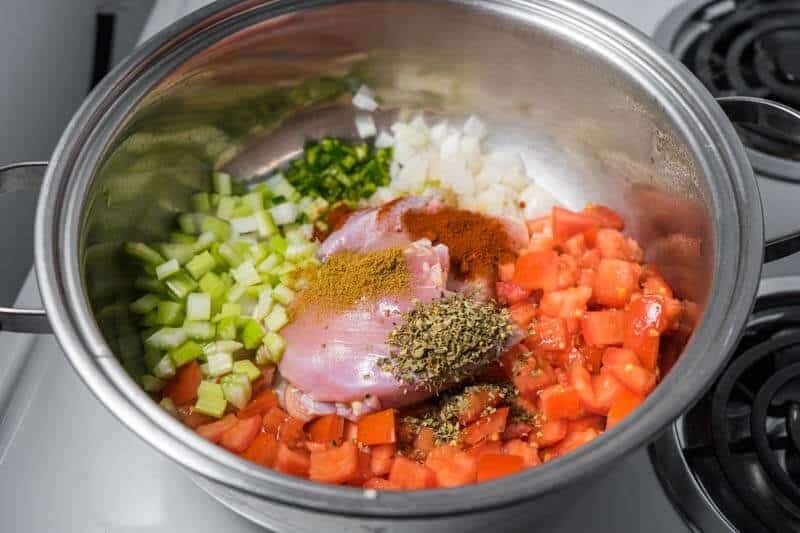 When it's done, remove the chicken and shred it up! Throw it back in the pot, along with the cilantro. Do a little taste test and add salt/pepper if needed. Serve up the soup with a generous dollop of sour cream. Fresh avocado on the side makes it extra delicious!